Enjoy or share your favorites from "back in the day". One of the simplest methods of time travel known is by food and in particular by candy. Using the "Classic Candy Time Travel Method we can jet immediately into a whole different time. 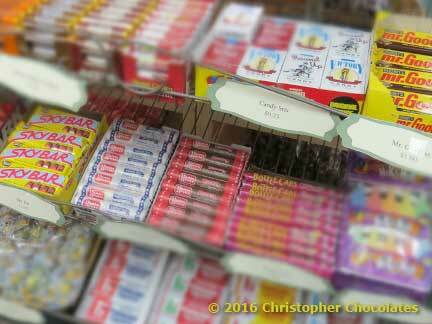 A peaceful part of our past when all we were, was wrapped up in the candy-moment. We rotate a selection of those favorite candy bars from the good ol' days. 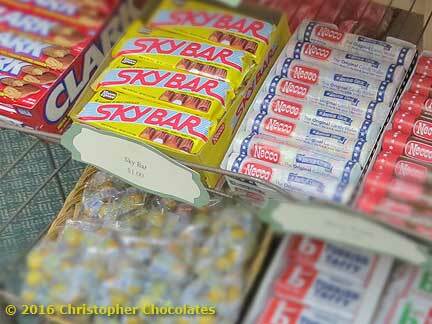 Take a stroll down memory lane with Mr. Goodbar under a beautiful SkyBar, maybe share some Necco Wafers or a Delightfully Rich Bonomo Turkish Taffy. For your time travel convenience, Christopher Chocolates maintains a tower of rotating confections spanning lifetimes. 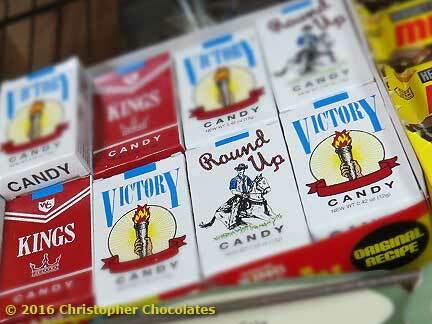 Take a moment to walk down memory lane with a pack o' "sticks". One of the favorite candy classics from back in the day.